All to Tiff Converter 3000 is a powerful but easy-to-use All to TIFF image file converter. It can help you free convert any document, PDF, Word, Excel, PowerPoint,TEXT,RTF,Webpage of internet, Html, Image, JPEG, JPG, GIF etc to TIFF. It supports so many formats like pdf,doc, docx, docm, xls, xlsx, xlsm, ppt, pptx, pptm, rtf, txt, html, htm, url and images as jpg, jpeg, bmp, emf, wmf, gif, tif. The output image quality is super good with preserving the original text, tables, image, layout etc. More, the processing speed is very fast. User-friendly interface is very easy to use. Simultaneously convert massive different format files to TIFF image file once. Convert PDF to TIFF with several conversion modes for different needs. Convert PDF to TIFF with retaining the original text, image, graphics, formatting of PDF. 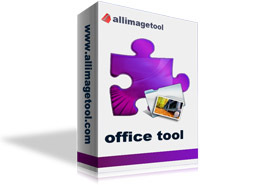 Convert Office Word, Excel, PowerPoint to TIFF with ease. Convert all pages of PDF to one single image. Convert one multi-page PPT/PDF to one multi-page TIFF. Convert local Html, Webpage contents of internet to TIFF. With two modes (directly convert url or extract directly url from character strings) to convert to TIFF. Support convert each page of Word/Rtf to one single image. Merge each sheet of Excel to one single image. Merge multiple images to TIFF. Adjust the framework size of the loaded HTML, URL with more options. Set the generated image size. Have the option to auto open the output folder when finished.